There are three unshakable realities in life: Death, taxes, and an ever-expanding government. The reality of death is one that each person must face. Taxes are indeed a reality, but as every conservative argues, taxes in America must decrease or the economy will inevitably falter. And while every American must deal with the reality of death and taxes, the growing federal government can and should be marginalized. This final reality can and should be altered. The new reality should be a smaller, leaner, more efficient government. Herein lies the argument in W. James Antle’s book, Devouring Freedom: Can Big Government Ever Be Stopped? The author has done his homework in this well-written book. Ten chapters guide readers on a journey that informs, educates, and most importantly, warns. Any thoughtful American will appreciate the contrast between the big government promoted by the current president and the smaller government that was prompted by our nations greatest president, Ronald Wilson Reagan. W. James Antle is no pushover Republican. He not only warns readers about the manifold dangers of big government. He also reports some of the Republican failures and compromises which have not served our nation well. The author does not offer “pie in the sky” solutions either. In fact, he is critical of any conservative who suggests such an approach. Rather, he recognizes the rocky road before our great nation and suggests practical steps to smooth our path to greater prosperity. But he does not write under any delusional pretense or promote a utopian vision. He understands the road to a smaller government will not be easy. He writes, “Sometimes it will seem impossible. But like a parent yanking his child to safety at the last second before he dashes into the street, Divine Providence has pulled this nation back from the abyss before.” Indeed, the path forward will be marked with pain. But the pain now will be worth it in the days to come. Conservatives must be prepared for the rocky road to smaller government. The author rightly adds, “Conservatives who stick to their principles on taxes and spending get the Grover Norquist treatment.” That is to say, anyone who argues for lower spending, lower taxes and smaller government will be unfairly demonized. The attack adds against Paul Ryan during the last election cycle prove this sad point. Devouring Freedom: Can Big Government Ever Be Stopped? The author asks the right question and gives the right answer. The only question is this: Do we have the courage to move in the direction of a smaller federal government? Any negative answer will result in an erosion of freedom; the same freedom that was such an integral part of the dream which was articulated by the founding fathers. The legacy of President Ronald Reagan is securely established in history. Liberals can scoff and moan but the fact remains; Ronald Wilson Reagan is one of the most influential Americans of all time. Indeed, Reagan is not only one of the loved and respected presidents in American history; he is also one of the most effective. 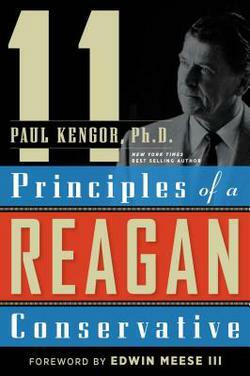 Most books focus on the life of President Reagan and work hard to establish his presidential accomplishments. 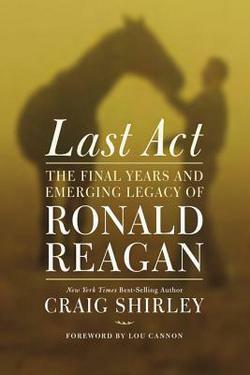 Craig Shirley’s new masterpiece, Last Act: The Final Years and Emerging Legacy of Ronald Reagan takes a different approach. Shirley sets out to help readers see Reagan in a different light and in a different context. This book serves as a lens for Americans to view President Reagan in his post-presidential days, including the days which followed his diagnosis of Alzheimer’s disease. Last Act begins with President Reagan on his deathbed. The author highlights Reagan’s life and legacy from different perspectives – including friends, family, and foes. One of the constant themes that weave through the book is the deep and abiding love that America has for the 40th president of the United States. Last Act: The Final Years and Emerging Legacy of Ronald Reagan bears the marks of a book which is informed by thorough research and careful study. Craig Shirley should be commended for his clear writing and respect for the 40th president of the United States. Last Act is not only a tribute to one of the most beloved leaders in American history; it is a gift to the American people. The legacy of Ronald Wilson Reagan speaks for itself and will continue to reverberate throughout history. Antonin Scalia notes, “Ronald Reagan needs no one to sing his praises.” Justice Scalia may be on target. But the fact remains: History will not stand by in silence. The legacy of Ronald Reagan will endure for generations. 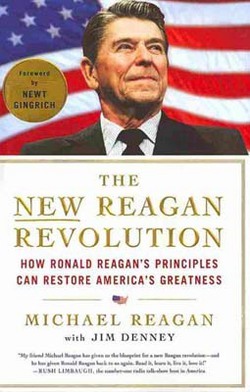 Michael Reagan has captured the essence of President Reagan’s values, fiscal policy, and tough-minded leadership in his book, The New Reagan Revolution. The sub-title should jolt any thinking American – “How Ronald Reagan’s Principles Can Restore America’s Greatness.” Clearly, we have drifted far from President Reagan’s vision for America. The city of the hill that he so loved has descended into the swamp of relativism and pragmatism that tolerates abortion on demand, celebrates homosexual marriage, and applauds big government and out-of-control spending. The author walks readers on a path that traces Reagan from his days as a Democrat to his final days in the White House. Readers learn that Reagan was a man of unwavering conviction. He believed in a “banner of bold, unmistakable colors, with no pale pastel shades.” The author adds, “Every leader who waves a banner of bold colors has plenty of critics. If no one is criticizing you, you’re not being bold enough. Ronald Reagan never worried about his critics. He didn’t care what other people thought of him or said about him or wrote about him.” Reagan’s son continues, “Pale pastel people try to straddle both sides of every issue in an attempt to get everyone to like them. They try not to be too bold because they fear offending others or drawing criticism … Ronald Reagan knew he would never please everybody, so he staked out bold positions on the issues – then he proved he was right.” This is the kind of leadership that brought the former Soviet Union to its knees. This is the kind of bold leadership America needs now – bold, decisive, and unwavering in the face of adversity! The author rightly portrays his father as the great communicator. “Every leader,” writes the younger Reagan, “must communicate his vision in a way that persuades and inspires.” And while Reagan truly inspired America in his two terms as president, he did not compromise his cherished values. Nor did he play both sides for the middle in order to gain the loyalty of special interest groups. The great communicator spoke with clarity and conviction. He knew how to capture the heart of America. He knew the power of the spoken word. Additionally, the author portrays President Reagan as the great unifier. The president once said, “We’ve got to quit talking to each other and about each other and go out and communicate to the world … We must go forth from here united, determined.” Reagan worked to find common ground with his political opponents and even forged a friendship with his nemesis, Tip O’Neal. America is in search of a leader who unifies like Ronald Reagan. The New Reagan Revolution is a book that should be devoured by every American. President Reagan is an inspiration for anyone who loves freedom, limited government, a strong military, and lower taxes. The younger Ronald Reagan is on target when he says, “There will never be another Ronald Reagan.” But we can certainly return to a day where the principles that President Reagan believed in are weaved into the fabric of American culture. A number of years ago, I began devouring books about my favorite president. When Character Was King by Peggy Noonan emerges as one of the most thoughtful and inspiring books about the former president. Reagan opposed the godless ideology that held millions of Russians hostage from 1917 to 1991. Lenin said in 1920, “We repudiate all morality that proceeds from supernatural ideas that are outside class conceptions. Morality is entirely subordinate to the interests of class war. Everything is moral that is necessary for the annihilation of the old exploiting social order and for uniting the proletariat.” In contrast, Reagan knew that virtue and morality are directly related to one’s relationship with God. President Reagan was and continues to be a breath of fresh air in an increasingly pessimistic political climate. He was unafraid to stare evil in the face. He courageously stood for the cause of freedom. Indeed, he was jealous to see the flag of freedom fly in every land. He opposed despotism, communism, and socialism. He promoted free enterprise. President Reagan refused to capitulate in the face of adversity. 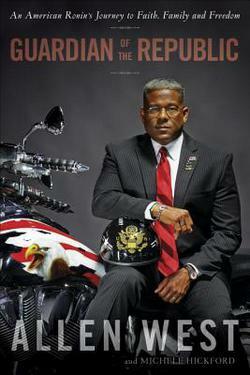 True Faith and Allegiance is the biographical tale of a man who has experienced the American dream. Rising from humble origins, this man served in a prestigious Texas law firm, and served under George W. Bush during his days as governor of Texas. He became the Secretary of State in Texas and was named as a Supreme Court Justice in that state. He was later appointed by then-President George W. Bush to serve as special legal counsel until he reached the apex of his career in an appointment to serve as Attorney General in the Bush administration. True Faith and Allegiance recounts the life and career of Alberto R. Gonzales, the first Hispanic man to ever serve as Attorney General. Gonzales writes with a stunning amount of transparency in this book, sparing no details. While the book is primarily about Gonzales, one of the most fascinating features is his insight into the forty-third president of the United States, George W. Bush. Gonzales speaks highly of Bush and alerts readers to his keen intellect, rock-solid integrity, loyal friendship, and his leadership abilities. The most outstanding feature of True Faith and Allegiance is the depth of Gonzales character. It is a testament to personal integrity, courage under fire, and devotion to the Commander in Chief. Alberto Gonzales paid a steep price for being a man of integrity and for living according to a set of timeless principles. Gonzales shares in great detail about the painful assault on his character and the tragic dividends he reaped after his time in office. Everyone at some point, believes life is unfair, but you must learn to accept and overcome adversity, put your trust in God rather than human beings, and move on. I harbored resentment for a time against Democratic senators and staffers who attacked me, and against Republicans who abandoned me. Now I see that while they sought to do evil to me, God used it for good. True Faith and Allegiance is a story for every American. Some may disagree with Gonzales convictions. Others may reject his politics. But none can accuse him of being unfaithful to his country. Gonzales is a model patriot worthy to be emulated. Indeed, he is a man of true faith and allegiance! They call him the “Wacko Bird.” Other words are often used to describe the Senator from Texas: He’s accused of being “extreme,” “out of touch,” “crazy,” and “arrogant.” The media has caricatured him as a right-wing lunatic. The liberals in Congress have tried to discount him and marginalize him. 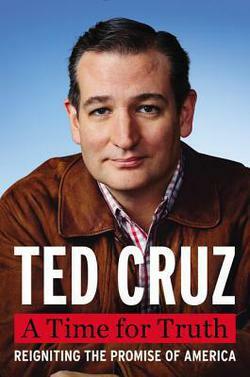 After reading, A Time For Truth by Ted Cruz, I can say with confidence that the Senator is a man who means what he says and says what he means. He is committed to conservative values and is willing to pay a personal price for standing up for those values. Senator Cruz is a fiscal conservative. As a young man, he memorized the Constitution and now he fights every day to preserve the freedom we enjoy as American citizens. Cruz fights for the unborn and he fights for the voiceless. He is committed to securing the border. He has a plan for defeating Isis. He is a man of faith who has the best interest of our country. A Time For Truth sets the record straight. I have a sneaking suspicion that Senator Cruz will get the last laugh. The Senator from Texas is unwilling to waver. He is unwilling to back down. He is unwilling to compromise his conservative principles. The “wacko bird” is just getting started. Ted Cruz has charted an determined course to the Oval Office! Last Act begins with President Reagan on his death bed. The author highlights Reagan’s life and legacy from different perspectives – including friends, family, and foes. One of the constant themes that weaves through the book is the deep and abiding love that America has for the 40th president of the United States. He brought a special grace to the White House and the country in everything he did. We often disagreed on specific issues, but he had an undeniably unique capacity to inspire and move the Nation. On foreign policy, he will be honored as the President who won the cold war. It was more than the fact that he was a superb communicator. Some attributed at least part of his success to the fact that he was a superb communicator. Some attributed at least part of his success to the fact that he had been an actor. But his deepest convictions were matters of heart and mind and spirit, and on them, he was no actor at all.